Khloe was seen arriving at the Gunnar’s gym on Santa Monica Blvd in Beverly Hills. Check out the photos in the Gallery! 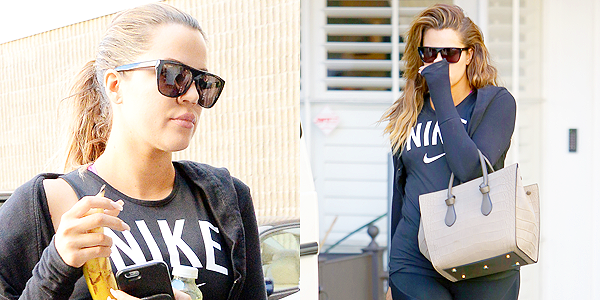 Khloe was seen leavingEpione Cosmetic Laser Center with her hand over her mouth and wearing large sunglasses on February 24, 2015 in Beverly Hills. Check out the photos in the Gallery!